Is Joe Gomez The Missing Piece In Jürgen Klopp’s Jigsaw? 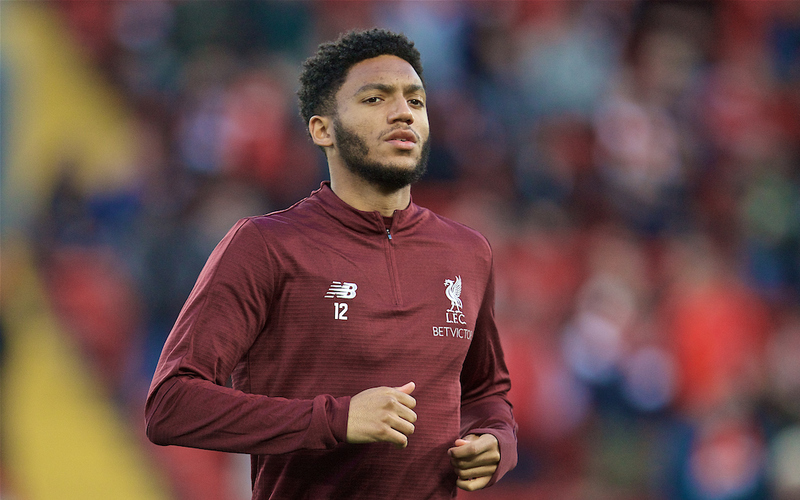 JOE Gomez didn’t half look a good player on Tuesday night. Did you see the way he accelerated to cover Dejan Lovren when Moussa Marega threatened to run in behind Liverpool? Did you notice the intelligent positions he took up when Trent Alexander-Arnold sold himself a couple of times? Did you like the way his natural understanding with Virgil van Dijk just calmed things down whenever the game became a little stretched? If you just closed your eyes tight enough, you could visualise all of those things and more. Liverpool haven’t missed much in recent months but they have missed Joe Gomez. Only Jürgen Klopp and his fitness team know how close Gomez is to top gear but his very presence on the match sheet for the Porto game offered hope that he can still figure prominently in the run in. Back in the autumn, he was an automatic selection. 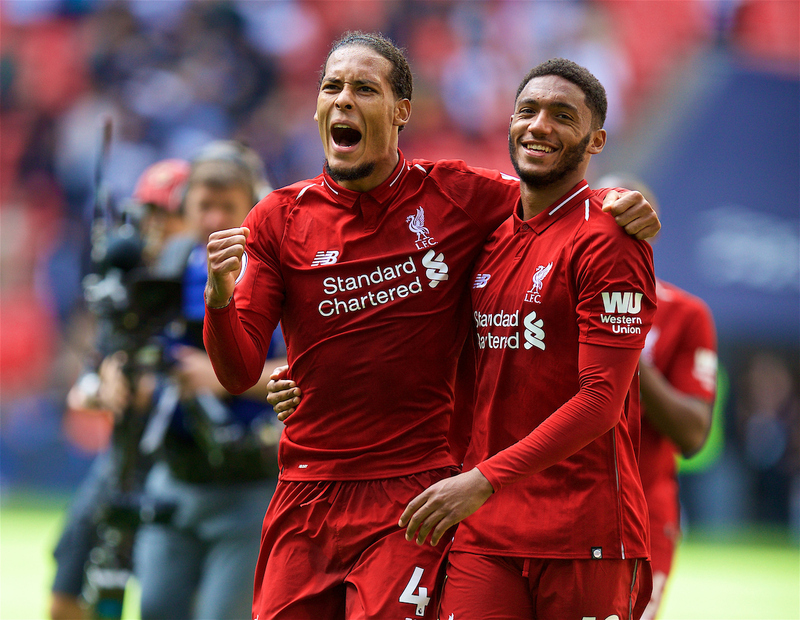 The bromance with Virgil was blooming and, when the manager felt the need to shelter Trent’s attacking instincts from the likes of City and PSG, Joe took a confident step to the right and looked a natural at full back. Klopp will not rush Gomez back against his better judgment, but that number 12 shirt has never truly been filled by anyone else since the turn of the year. There is no panic. Joe spent too much of the second half of last season pushing his body towards a return from an ankle injury that finally cost him an appearance in a Champions League final, a trip to the World Cup and an appointment with the surgeon. There have been a couple of false starts for his career already. As a teenager, he lost a year of promise to a cruciate ligament injury. He is 21, he’s got all the time in the world. But, if Gomez is fit and firing, there are pressing opportunities with both club and country this spring and into the summer. In fact, there are a couple in the coming week. Marega’s pace was an issue on Tuesday and will be again in the Dragao next week. Before that, Liverpool face their most difficult opponent of all this Sunday. While I’m a great admirer of what Raheem Sterling is becoming on and off the pitch, there is just one serious rival to van Dijk as Footballer of the Year on my voting slip. Eden Hazard is the only player in the Premier League that can beat you on his own. He has already scored two unstoppable goals against Liverpool this season and was in ominous form against West Ham on Monday. If Gomez were at the peak of his powers, I’m sure Klopp would put him up against Hazard this weekend, then move him across to martial Marega in Oporto. Both assignments may well come too early in Joe’s recovery. We’ll see. He hasn’t kicked a ball in anger since December 5. When he crashed into the advertising hoardings at Turf Moor that wintry night, he must have feared the worst. Footballers never forget the long, lonely treadmill hours in rehab. But a broken leg is a painfully straightforward setback. And this is no injury prone lightweight, this is a big hitter due a bit more luck. Because he plays with such an effortless athleticism and covers the ground with grace and poise, there is a temptation to cast him as a defender that isn’t quite so keen to get his hands dirty at the coal face. Not so. Joe’s blocking challenge on James Maddison at Leicester in September remains a vivid image of the difference he can make. It was every bit as much a goal-saving intervention as any Alisson has contributed this season. 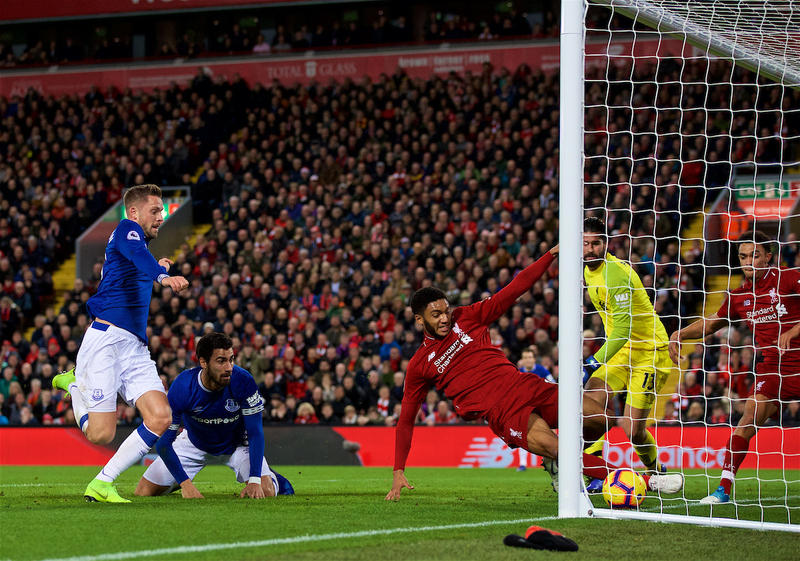 There was another clearance from an Andre Gomes header in the first half of the Anfield derby that kept the Liverpool sheet clean. Even amid the disappointment of the underwhelming team performance in Naples, Joe had a storming night. And talking of Raheem, you will all remember Sterling stalking off with 15 minutes to play at Anfield last October, unable to make an impression against a Liverpool right back called… yes, Gomez. Whatever happens in the coming weeks, Liverpool need to kick on and improve again next season if they are to seize this moment in their history. Klopp will take charge of the team for the 200th time this Sunday. Gomez has started less than 50 of those games. He’s going to seem like a new signing when he’s back in full harness. He is a precious part of the future. The story goes that the manager had already been scouting Gomez at Charlton during his time with Dortmund. No sooner did Klopp get his feet behind his Melwood desk in 2015 than he was greeted by the awful news that Joe had suffered a serious knee injury on England under-21 duty. It’s high time Klopp got some good news on Joe Gomez. It can’t come soon enough. "Every single game Liverpool play now feels like the biggest game of your life. At CB especially, he’ll make a big difference to our entire shape when he’s back. Matip has done well in fairness but one thing he’ll never have is the recovery pace that lets us push our line practically into the opposition’s half. 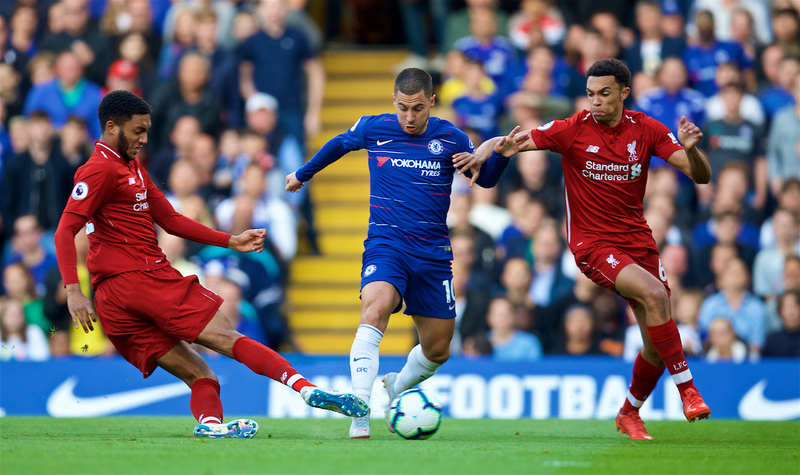 As for Sunday’s game, I was enjoying my late lunch right up to the point of seeing Eden Hazard’s name crop up in this article. Now I’m feeling a bit queasy. Thanks for that, Clive. Agree Martin that Matip has come in and done a great job. Even more so when you think he was coming back from his own injury problems. He’d gone off the radar but stepped into a defensive crisis, down to 2 CBs. if we come out with a title he will deserve his medal as much as anyone. Gomez is a hell of a footballer and went up a level earlier this season pre-injury. Great to have him back and the thought of a flying Ox as well, wouldn’t it be great. But not losing sight of Joel’s big contribution and how much we are relying on him for the run-in.